1. User changes a website value in creation/editing form and clicks “Save” button. 2. After clicking “Save” all form’s fields are validated. 3. 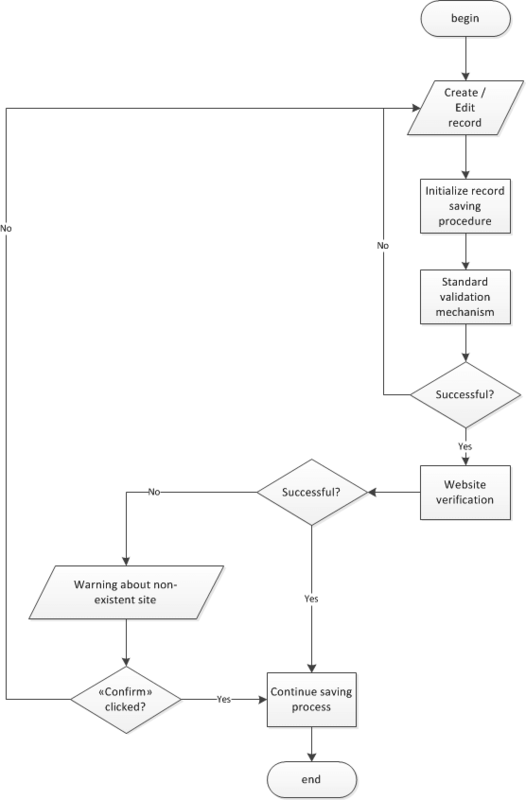 If the previous step is successful, we call the website verification mechanism. In case the verification is successful, we continue the process of record saving, otherwise the corresponding notification should appear with two buttons: «Сancel» and «Confirm» (pic. 1). a. Clicking «Сancel» the record saving is interrupted, the editing form is left on the screen. b. After clicking «Confirm» you can freely go on saving the record. Pic. 2 AlgorithmFunctionally speaking, web-site verification mechanism in SugarCRM consists of 2 parts: a client side and a server. The client side breaks in the standard mechanism of the system’s record saving and processes the verification result and the server implements the verification mechanism itself. If you have no such files, they have to be created. Below you will find code listing which refers to the Record controller. Further we will redefine the evaluator of the «Save» button and will add the call of website verification mechanism. if API is determined only for the Accounts module. 1. registerApiRest() – method that registers the API-function. 3. urlIsOk($url) – method which actually verifies the site’s address. As the argument it takes the line containing URL that was entered in the Account form in field «Website». It should be mentioned that for the system’s correct work compulsory are only registerApiRest and runUrlValidation methods. As the next step let’s examine the implementation of the verification mechanism. 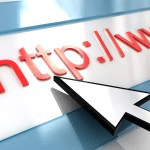 At the first stage we check if the website address being verified starts as «http://» or «https://». Under the standard, the field of «url» type works as follows: when filling it in the user may not indicate the protocol of data transmission, it will be automatically populated when focus is lost. But if you fill in, for instance, «example.com» and click «Save», prefix «http://» will not be written at the beginning. That’s why, the first the first thing we should do is to correct it. Now we only have to make cURL request with the help of curl_exec and to get HTTP respond code. If the received value is in the range of [200..400], then the URL being verified really exists. If you need our advice on SugarCRM customization, don’t hesitate to contact us. Leave your details here to get in touch with our experts.